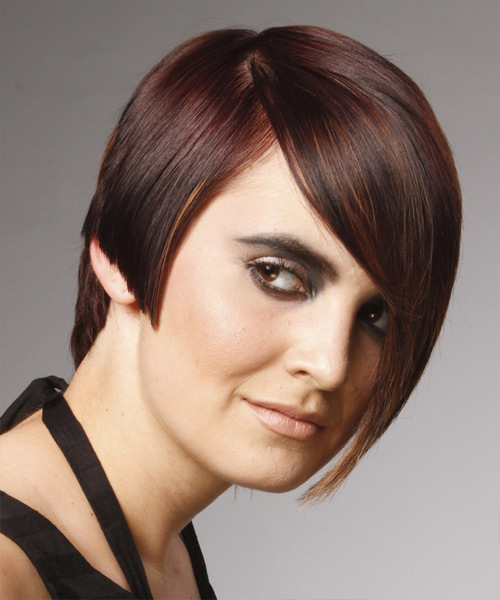 The back of this fantastic look is tapered into the neck with layers cut up to the crown for shape. The sides are angled down to form this asymmetric shape which is perfect for those with long face shapes. 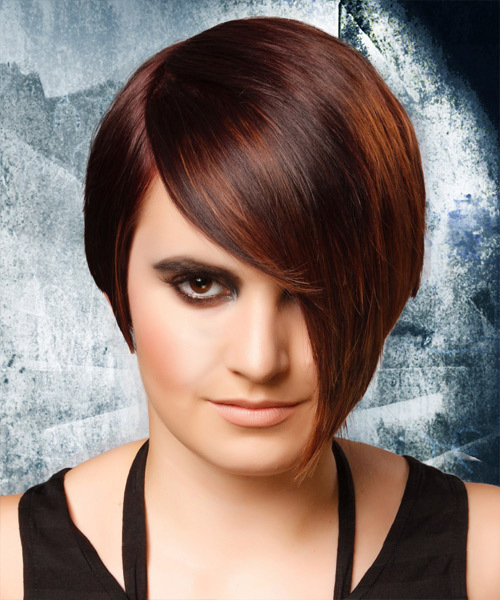 The bangs are swept over to one side to soften the over-all style and completes it magnificently.